The post Studio8 looks to the landscape of eastern China for the design of Anadu Resort hotel appeared first on Dezeen. The post Peach House is a contemporary brick-clad courtyard house in Beijing appeared first on Dezeen. The post Jiakun Architects completes first foreign Serpentine Pavilion in Beijing appeared first on Dezeen. Challenged with particularly difficult and specific building regulations, Chinese architecture firm Zhaoyang Architects has designed this hotel in the historic town of Dali Old Town so that guests can enjoy bright and scenic views from the inside out. Situated in a remote town just 50 kilometers west of Manilla, Swiss artist Not Vital has completed a chapel that expertly blends the lines between art and architecture. The post Foster + Partners’ completes Hong Kong hotel inside former government headquarters appeared first on Dezeen. The post AZL Architects creates 3D-printed pavilion alongside stone house in Chinese village appeared first on Dezeen. The post Hong Kong bridge prepares to open amid fears over structural integrity appeared first on Dezeen. 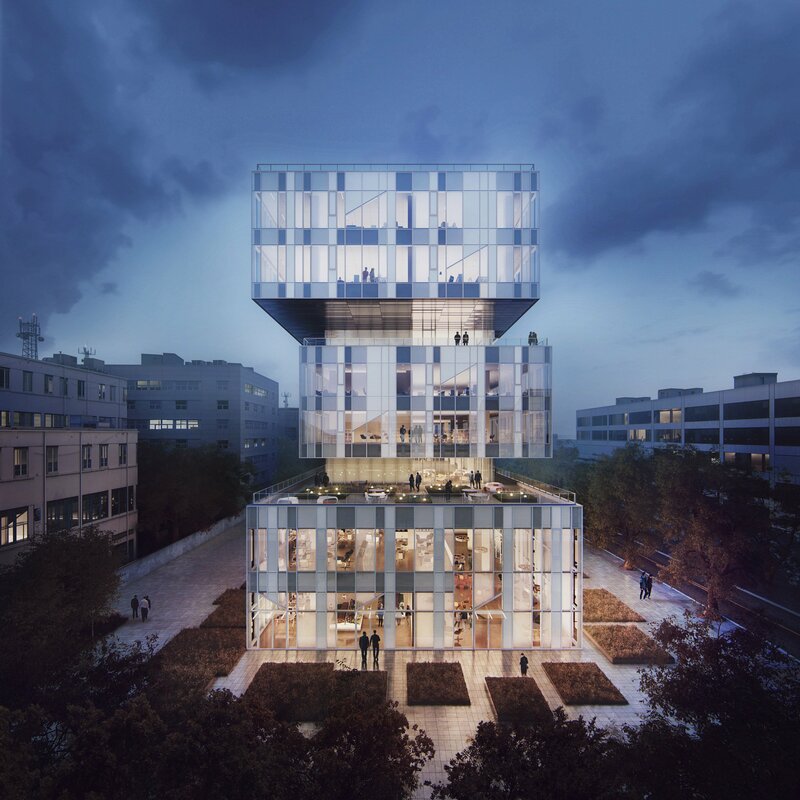 Yin and Yang, the Chinese belief that opposing forces are actually inextricably connected, was the starting point for Tianjin University Gallery, designed by Chinese studio Zhanghua Architects. The post Yueqi Jazzy Li captures the “sublime quality” of Jiakun Architects’ Chengdu sculpture museum appeared first on Dezeen. The post Wutopia Lab’s pink and blue houses explore ideas of masculine and feminine appeared first on Dezeen. 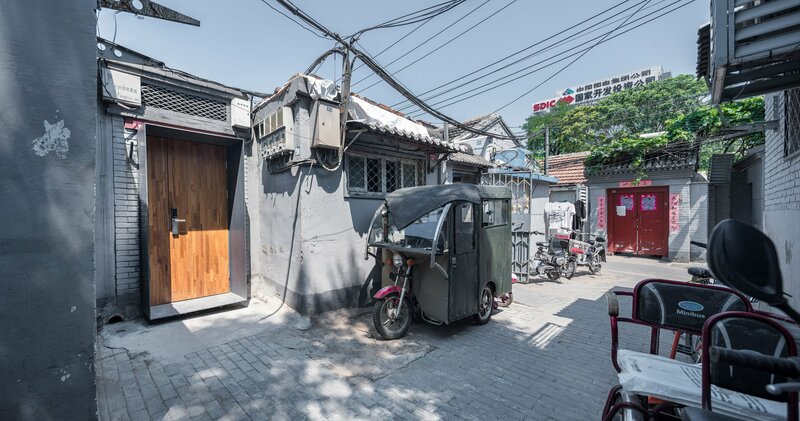 In response to Beijing’s lack of architectural variety, Seoul-based firm Wonder Architects have renovated a traditional hutong dwelling to create the ‘Tsou’ residence — both preserving and updating an icon of Chinese architecture. Chinese architecture firm Neri&Hu have designed the Tsingpu Yangzhou Retreat, a boutique hotel crafted from reclaimed brick, and built around a series of small lakes. 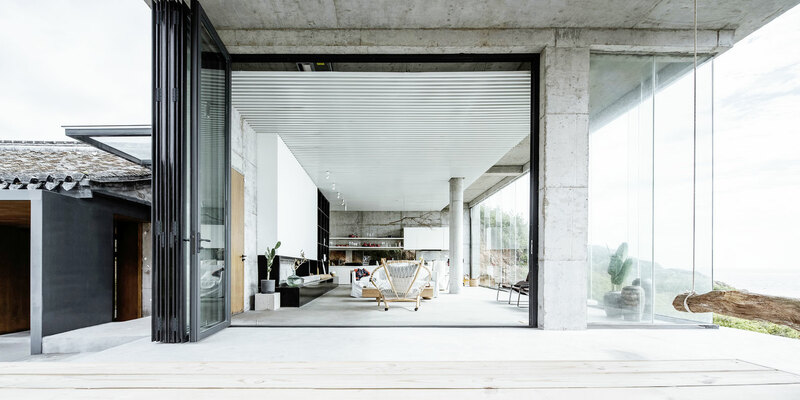 Renovated by Shanghai-based firm hyperSity, a traditional cave dwelling in the Loess Plateau of Shanxi Province in China has been transformed into the ‘Cave House’ — an unconventional home made of rammed earth. The post Neri&Hu encloses guest rooms and gardens within grid of brick walls at Tsingpu Yangzhou Retreat appeared first on Dezeen. The post O’Donnell + Tuomey to build red brick opera house in Shanghai appeared first on Dezeen. The post Grimshaw Architects reveals first image of Chinese Eden Project appeared first on Dezeen. The post First foreign Serpentine Pavilion will be built in China this year appeared first on Dezeen. The post Ole Scheeren unveils huge art museum slotted in beside Beijing’s hutongs appeared first on Dezeen. The post World’s tallest ice tower built with the shape of a flamenco dress appeared first on Dezeen. The post Wavy tiled roof of Springingstream guesthouse is based on the outline of surrounding mountains appeared first on Dezeen. The post World’s longest glass-bottomed suspension bridge has an intentional wobble appeared first on Dezeen. The post Prefabricated and mobile components combine to form The People’s Station cultural centre appeared first on Dezeen. The post Foster + Partners converts landmark Hong Kong office tower into high-end hotel appeared first on Dezeen. The post World Landscape of the Year 2017 teaches people about China’s farming history, says Turenscape appeared first on Dezeen. Designed to appear as if emerging from the earth, Beijing-based studio DL Atelier has used the unique clay-heavy soil of Sanbao village for the continuous loam walls of the SanBaoPeng Art Museum in China. The post Penda inserts house-shaped opening into facade of hotel in Beijing’s XinXian Hutong appeared first on Dezeen. The post Vector Architects converts sugar mill into Alila Yangshuo hotel appeared first on Dezeen. The post Sunday Sanctuary: Times Two appeared first on Oracle Fox. The post World Building of the Year 2017 could help 100 million people, says Edward Ng appeared first on Dezeen. The post Hufton + Crow photographs MAD’s Huangshan Mountain Village in the dawn light appeared first on Dezeen. The post DL Atelier builds museum with rammed-earth walls near China’s “porcelain capital” appeared first on Dezeen. The post MINI’s co-living destination in Shanghai “brings know-how from vehicles into places where we live” appeared first on Dezeen. The post MAD’s Huangshan Mountain Village mimics the topography of a rocky Chinese landscape appeared first on Dezeen. The post Dong Yugan uses brick to form sculptural surfaces and playful structures at Red Brick Art Museum appeared first on Dezeen. The post MVRDV completes library shaped like a giant eye in Chinese city Tianjin appeared first on Dezeen. The post Stefano Boeri imagines dome-covered Mars colony with “vertical forests” appeared first on Dezeen. The post Rural Urban Framework builds post-disaster housing in China featuring rooftop farms appeared first on Dezeen. The post Foster + Partners and Heatherwick Studio complete Shanghai skyscraper duo appeared first on Dezeen. The post Latticed shell of SOM’s Beijing tower is based on traditional Chinese paper lanterns appeared first on Dezeen. The post MAD creates inflatable pavilion shaped like a rabbit’s head appeared first on Dezeen. The post Demand for overseas architects booms in China’s “open and free climate” appeared first on Dezeen. The post Tourist centre perches above limestone canyon in Guizhou Province appeared first on Dezeen. The post Baitasi House of the Future features moving walls controlled by a smart TV appeared first on Dezeen. The post Work starts on Schmidt Hammer Lassen-designed innovation centre adapted to Shanghai’s extreme weather appeared first on Dezeen.